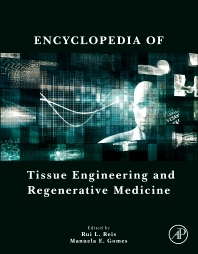 Encyclopedia of Tissue Engineering and Regenerative Medicine provides a comprehensive collection of personal overviews on the latest developments and likely future directions in the field. By providing concise expositions on a broad range of topics, this encyclopedia is an excellent resource. Tissue engineering and regenerative medicine are relatively new fields still in their early stages of development, yet they already show great promise. This encyclopedia brings together foundational content and hot topics in both disciplines into a comprehensive resource, allowing deeper interdisciplinary research and conclusions to be drawn from two increasingly connected areas of biomedicine.